The following quilts are now under construction: Emergency Quilt: Cakes, Finley G, Leon, Adam G, Mikey H, Skye S, Talia F and Ollie E. Thank you very much to all the quilters who will be working on these quilts! We also hope to have Mia F and Matthew W's squares on their way to their quilters very soon. Many thanks as always to those who have sent in cash/cheque/Paypal donations, it is really appreciated! Thank you all for your well wishes for Kat over the last two weeks, the outpouring of support has been phenomenal :) We heard yesterday that tests have shown that Kat's lymphs and bone scan are both clear - good news! Kat's chemo will start in mid-September. We have also delivered an emergency quilt to Poppy H (Mr Men (Emergency Quilt)) - quilted by Kita. We hope to have photos some time in the next week. Thank you to everyone who donated squares towards these quilts and also the quilters who put these emergency quilts together so we could send them straight out when the need arose. Sasha H's quilt was closed. Neve D's quilt was closed. Aidan T's quilt was closed. Logan C's quilt was closed. 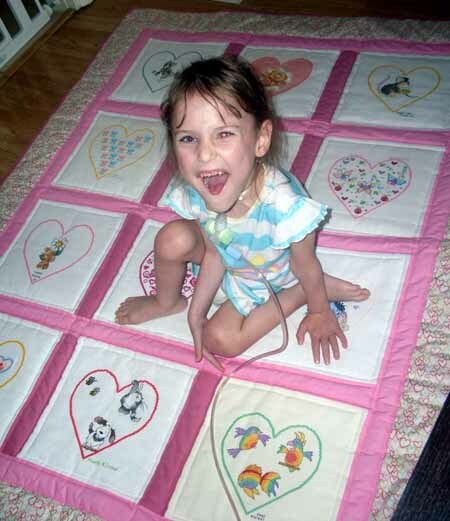 LQUK was recently mentioned in an article related to Amelia Rose who received a quilt from us in May 2012. The article can be found here: Wrapped in the Kindness of Strangers. We have received a cheque for Â£137 from Leanda Vickers' daughter's boyfriend who did a charity bike ride - he cycled from Manchester to Blackpool. Thank you very much for your efforts on our behalf! We have received an amazing 66 squares since our last update! 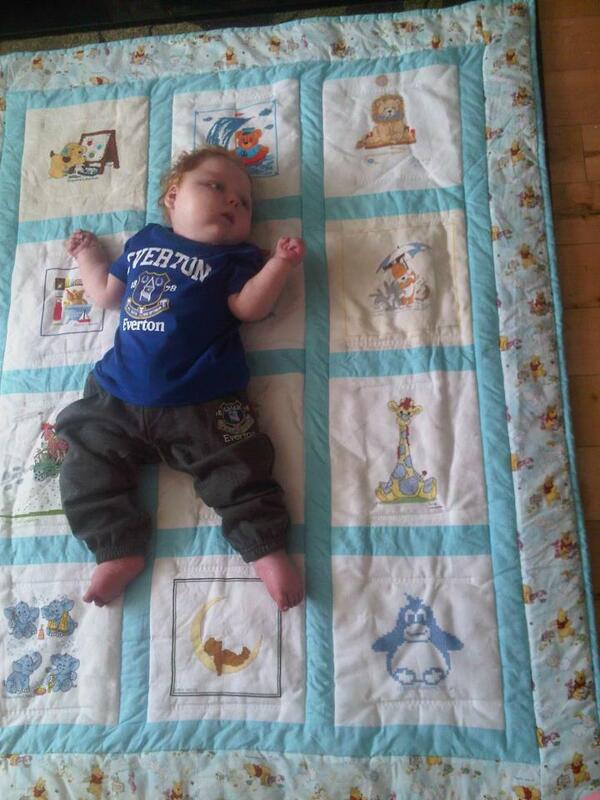 Many thanks to all those who stitched them and special thanks to Elaine who is now our chief square picture uploader! Also thank you for those who have sent in cash/Paypal donations this week, it is very much appreciated! Hello everyone. Many of you will have heard this on the Facebook group this afternoon, but I know we have a fair proportion of non-Facebook stitchers, so with Kat's permission I am reposting my message here. I'm afraid I have some rather bad news to tell you. Yesterday Katherine saw the consultant and has been diagnosed with breast cancer :( We have been worried about a lump for a few weeks, but the news has still come as something of a bolt from the blue. 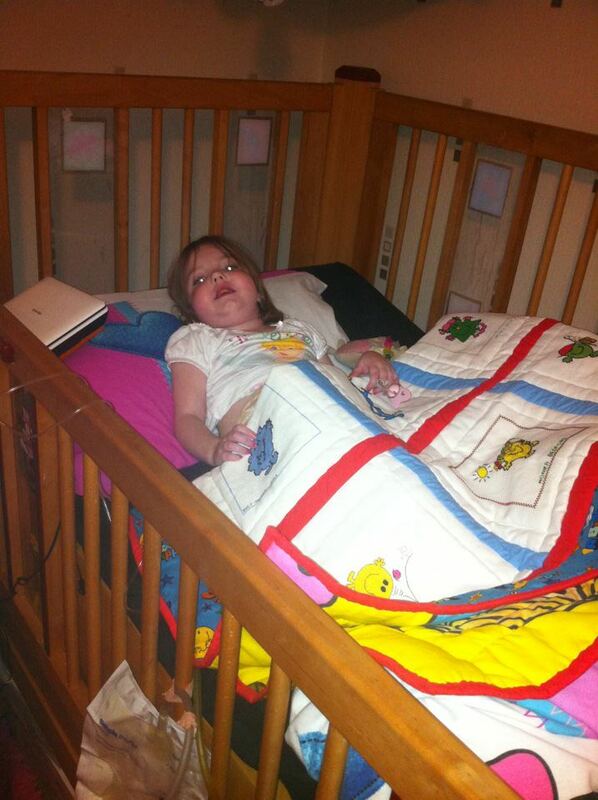 Kat will be having an operation next week, followed by a course of chemotherapy starting the first week of September. This means she will be unable to go out to the post office etc. We have had a chat about LQUK at some length and decided that Kat will be having a sabbatical from LQ at least until after Christmas (she will do 6-8 rounds of chemotherapy taking 3 weeks each). Elaine Thomas (my mother) has agreed that squares can be sent to her address (I have put it on our Mailing page) and she will help me with the work of sending out quilt packs. I will be driving to Lincolnshire at some point this week to see Kat and to pick up the half-finish quilt packs and fabric before she starts at the hospital. We have received 13 squares since our last update (yesterday!) Many thanks to all those who stitched them and sent them in.